It is widely accepted that exercise is a key component to an overall healthy lifestyle. There are numerous, and easily proven, health benefits that everyone enjoys when they fit exercise into their routines. Hitting up the gym and pumping some iron is a common form of exercise for adults, whereas running back and forth on a soccer field, or exploring a playground, seems to do the trick for children. However, what most people aren’t aware of is a unique form of exercise that not only checks off all the usual boxes, but goes above and beyond them to maximize your health. Jumping on a trampoline doesn’t get nearly the recognition it deserves for keeping our bodies in optimal health. Have you heard of the lymphatic system? The lymphatic system is a network of organs and tissues that help rid the body of unwanted materials, toxins and waste. It primarily accomplishes this by transporting lymph, which is a fluid that contains white blood cells that fight infection, around our body. Although there is an abundance of additional information on this miraculous system, it can be agreed that keeping this part of your body fully functioning will offer a wide range of benefits to you, such as fighting disease, infections and even cancer. There are many ways to boost the functionality of your lymphatic system, but the most effective way to keep things flowing properly is movement. Our cardiovascular system keeps our blood flowing by the pumping of our heart. However, the lymphatic system does not work in this way. In fact, lymphatic fluid mainly flows up towards your neck. The best way to keep this fluid flowing is to simply move! But if you want to maximize this system to keep disease and cancer away, how about stepping it up a notch on a trampoline? Since the fluid of our lymphatic system primarily flows upwards, many doctors believe a vertical form of exercise is the best way to keep things moving, as opposed to a horizontal form of exercise such as walking or running. According to The Truth About Cancer, “Vertical movements are perceived to be particularly effective in pumping lymph fluid because of the continuous contraction and subsequent relaxation of muscles, and the continuous compression and release of the connective tissues, and tissue spaces.” This motion is termed “rebounding” and the most effective, and let’s be honest…the most FUN, way of accomplishing this task is to get on a trampoline and JUMP. If you are a parent, you most likely are feeling the heavy burden of keeping your children safe, happy, and healthy. 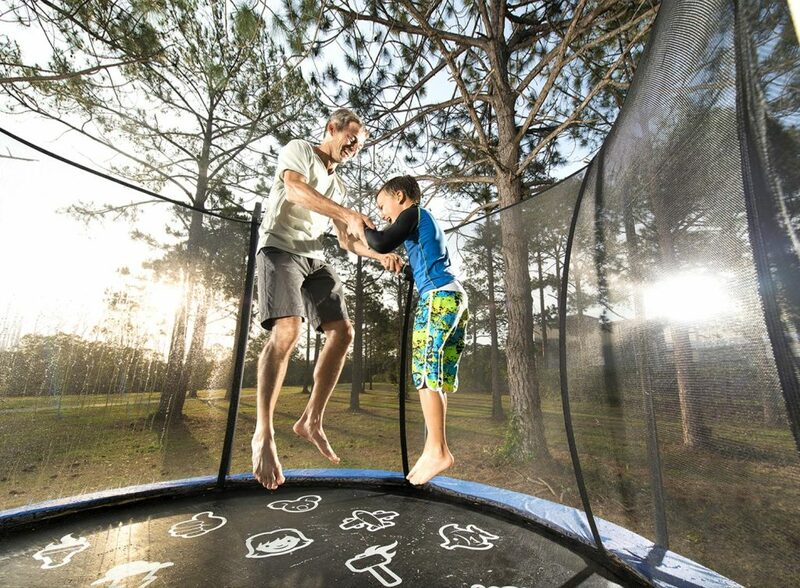 Although you can kick them outside for a few hours to play and use their imagination, which has a whole other long list of benefits, they will be much more likely to get their “rebounding” on if you have a trampoline. Toxins are everywhere, even in your home from cleaning products and pollution. Parents often feel clueless how to best fight this battle and sometimes give up. Instead of having to force, or bribe, your children into exercise, they will beg you to go outside and jump widely on their new Vuly Trampoline. Don’t worry, these trampolines come with a safety net, and door, that makes them the safest trampolines on the market today. 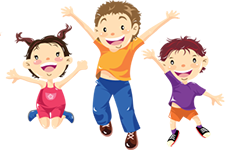 Kids (and adults) of all ages can safely enjoy jumping and parents can proudly watch as their children engage their lymphatic systems to remain healthy. The benefits of jumping on a trampoline don’t end with an improvement of the lymphatic system, however. This motion fights the weight gain battle, strengthens your skeletal system, increases bone mass and even increases cellular energy by pumping oxygen through your body. The best part? All of this is accomplished in a low-impact way that does not strain, or hurt, your body like other forms of exercise so often do. So next time your kids are hollering at you claiming they want to jump on a trampoline, come in to Run Jump-n-Play and check ours out in our giant indoor showroom. You can come to our facility every day to get your rebound on, or you can purchase a Vuly Trampoline for your own backyard!